Devices running Windows Phone 7 Series software won't hit store shelves until later this year, but Microsoft recently offered a peek into the upcoming OS at its MIX10 conference for developers and Web designers. The latest version of Microsoft's mobile platform promises to deliver a radical shift, with a new focus on features like social networking, the Web, and gaming. The new mobile platform comes not a moment too soon, as Microsoft looks to shed its image as an also-ran in the mobile space. Metrics firm comScore recently reported that, of the 42.7 million smartphone users in the United States, Windows Mobile user adoption had dropped by four points from 19.7 percent to 15.7 percent between October 2009 and January 2010. During that same period, Apple gained just 0.3 percent to maintain its 25 percent marketshare, while Google's Android grew by 4.3 percent to take 7.1 percent of the U.S. market. Research In Motion's Blackberry devices are still the most popular mobile devices in the U.S., claiming 43 percent of smartphone users. The new mobile OS has several features designed to combat those shrinking numbers. For example, the Windows Phone 7 experience will be tightly integrated with popular Microsoft products including Xbox, the company's highly popular gaming platform; a new version of Microsoft Office for mobile devices that includes OneNote and SharePoint Workspaces; and Windows Live Web-based services like Hotmail and Windows Live. Microsoft will also place a greater focus on hardware by forcing manufacturers to ship Windows Phone 7 devices with just three physical buttons: Home, Search and Back. Device makers will also be prevented from changing the Windows Phone 7 user interface, and all handsets must have capacitive touch and multitouch capabilities. Microsoft's announcements during MIX10 were targeted at third-party application developers, but the company's talks revealed even more about how Windows Phone 7 users will interact with their phones. So without further ado, here's what's going on with Windows Phone 7. Applications for Windows Phone 7 will be able to take advantage of some of the same frameworks that iPhone Apps can, including an accelerometer for motion control, location-based services, multitouch, camera and microphone, and push notification. You guessed it multitasking fans, Microsoft has taken a few ideas from the iPhone playbook with Windows Phone 7, and lack of multitasking is one of them. Just like the iPhone, Microsoft's OS will only allow third-party applications to run one at a time (with the exception of Microsoft's core Windows Phone 7 apps, called hubs). Instead, it will offer push notification, which lets a server send information to a mobile application, like an instant messenger or e-mail program, as opposed to having the app run in the background and then regularly call the server for updates. Microsoft has left the door open for multitasking to come to Windows Phone 7 Series in the future, according to Wired, but right now the company is too concerned about extending Windows Phone 7 battery life to allow it. Likewise, there are rumors that the iPhone may get multitasking with the next iteration of the iPhone OS. Windows Phone 7 owners, unsurprisingly, will get their Windows Phone applications from a brand new Windows Phone Marketplace. The new store will be the only channel to get apps onto your Windows Phone, and Microsoft, just like Apple, will have to approve all applications before they become available in the Marketplace, according to Information Week. One interesting addition, however, is that Microsoft's Marketplace will feature a 'try before you buy' option. There aren't many details on how that will work, but Phone Arena is reporting the length of the trial will be left up to the developer. Microsoft isn't calling it an SDK, but (just like the iPhone) Windows Phone 7 developers will be able to download a suite of "comprehensive tools" to help them develop mobile applications. Developers will have to pay $99 a year to be part of the Windows Phone 7 development program, and for the moment developers will be limited to offering a maximum of 5 applications in the Marketplace. 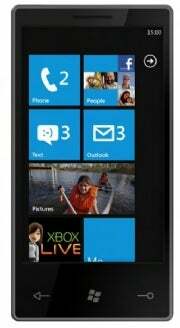 Windows Phone 7 third-party applications also won't be able to run as native applications on the new mobile devices. Instead, developers will use the Silverlight runtime environment and games will use the XNA Game Studio. Just like any other mobile platform, the success of Windows Phone 7 may come down to the apps. Microsoft says many familiar mobile applications will be coming, including the Associated Press, Foursquare, Seesmic, Sling Media, Shazam and more. Check out PCWorld's sneak peek at Windows Phone 7 apps for more details. So what do you say? Are you looking forward to Microsoft's newest mobile platform, or is Windows Phone 7 Series too late to the mobile party for you to care?